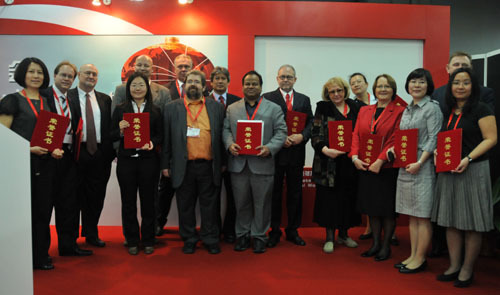 Chinese Tourists Welcoming(CTW) Awards 2011 given to 21 destinations and companies at COTTM fair in Beijing. The number of Best Practice Examples in the Chinese Outbound Tourism market is growing. 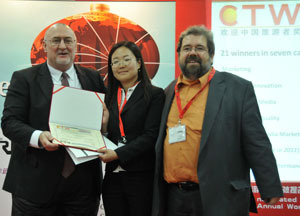 Chinese Tourists Welcoming(CTW) Awards 2011 given to 21 destinations and companies at COTTM fair in Beijing. More award winners than ever before received their well-earned recognition at a ceremony in Beijing which has already become a tradition in a still young tourism market. For the first time, awards were given in the categories of Retail and Social Media Marketing. Examples of the work of all 21 winners can be viewed online. For the eighth time, the “CTW Chinese Tourists Welcoming Award” has been successfully organized by the COTRI China Outbound Tourism Research Institute with the support of Tarsus Co. (London) and ChinaTravelTrends.com (Beijing). 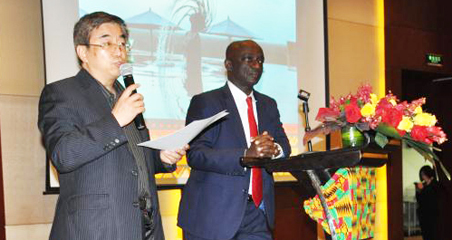 The ceremony was held during the COTTM China Outbound Travel and Tourism Market on April 14th, 2011 in Beijing. 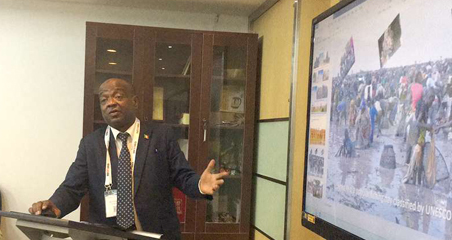 This year, the international jury had to select the gold, silver and bronze CTW Award winners among many diversified applications from private companies and governmental institutions from all around the world and all segments of the industry. Since 2004, CTW Awards have been presented in five categories: Product Innovation, Internet/Media, Service Quality, Marketing, and Overall Performance. In 2011 for the first time, two hot topics in the Chinese outbound tourism market were added as new categories: Social Media Marketing and Retail. 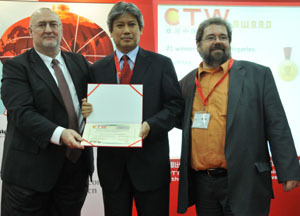 The CTW Award 2011 is reflecting the overall growth in interest and motivation from professionals in tourism to get their share of Chinese outbound tourists. Among the delighted winners, 16 different countries from four continents were represented: nine from Europe, six from Asia, four from North America and two from Africa. 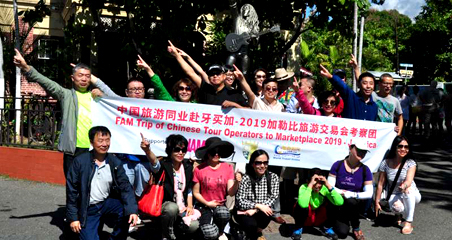 “Big and small destinations and companies have stopped doubting the importance of the Chinese outbound tourism source market. They are however at different points on the learning curve in understanding the special needs and expectations of Chinese visitors. 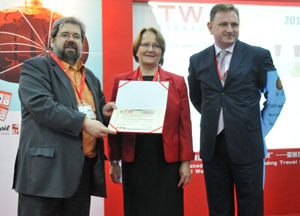 The CTW Award best practice examples are helping the industry to learn from those who started a bit earlier than others.” said Prof. Dr. Wolfgang Georg Arlt, director of COTRI, who chaired the CTW Award ceremony. 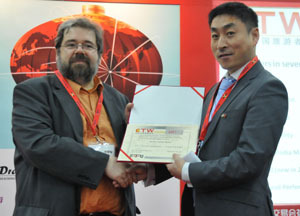 Chinese Tourists Welcoming(CTW) Awards 2011 were given to 21 destinations and companies at COTTM. The variety of tourism activities has been recognized during the 2011 Ceremony by rewarding National Tourism Organizations like Zambia Tourism Board(Bronze Award of Internet / Media), Croatia and Slovenia National Tourist Boards(Silver Award of Product Innovation) and Malaysia Tourism Promotion Board (Gold Award of Overall performance), and Attractions like the British Museum (Silver Award of Overall performance). More than 150 COTTM exhibitors, former CTW Award winners and other visitors applauded the CTW Award winners and appreciated the interesting presentations given by the Gold Award Winners about their current and future projects in relation with the Chinese outbound market. COTRI’s director Prof. Dr. Arlt could welcome several VIPs who accepted the CTW Award on behalf of the winners, including Ms. Marija Adanja, the Ambassador of Slovenia, Dr. Nasser Abdel-Aal from the Egyptian Embassy in China Tourism Office, and Amelia Tomasevic, the CEO of Zagreb Tourist Board. For the first time, COTRI provides the opportunity to learn from the CTW Award winners not only for those who could be present in Beijing, but to everybody interested via an online Dropbox folder. COTRI is the worldwide leading independent research institute for analysis, consulting and quality assessment related to the Chinese Outbound Tourism market. With the head office in Heide, Germany and a Chinese branch based in Beijing, COTRI offers a broad range of services, including market research, analysis, consulting and coaching for destinations, companies and individuals. Its latest publication is the “Green Book of China’s Tourism 2011 – China’s Tourism Development Analysis and Forecast”, edited by the Tourism Research Institute of the Chinese Academy of Social Sciences.